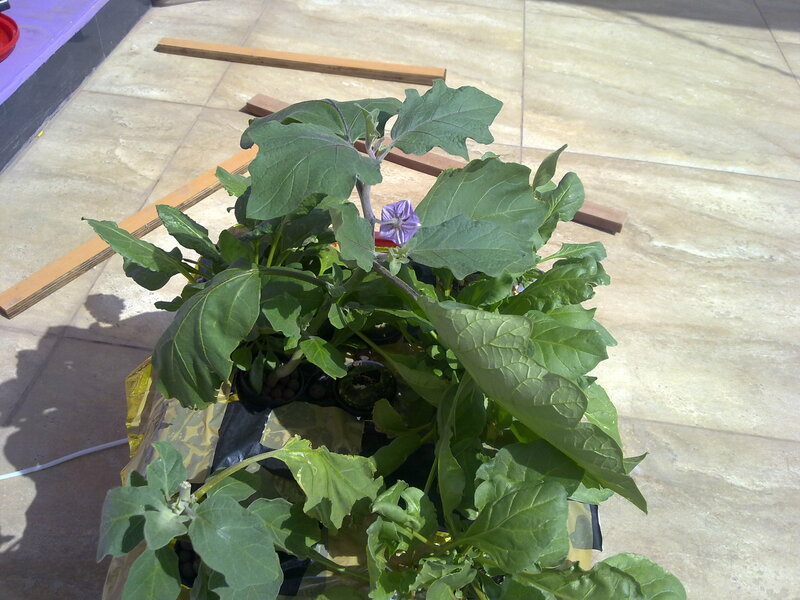 Eggplant and spinach wilting during hot parts of the day. 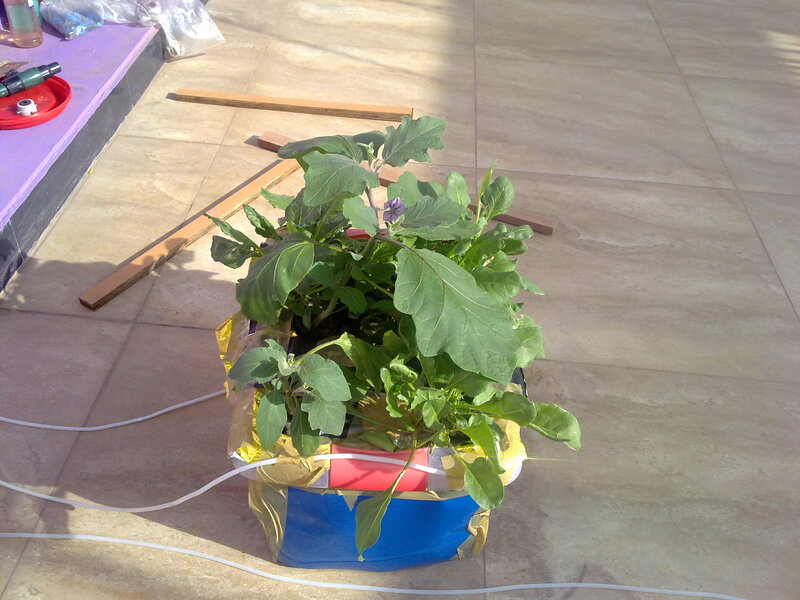 I am growing eggplant and palak keerai(spinach) in a raftsystem using a 20 liter container and 55mm netpots. The plants are growing well, but during the hot parts of the day, the plant wilts, though it recovers during night time. The water level is full, though not touching the netpot. The temperature of the nutrient solution reaches 32 deg C during hot parts ofthe day. Does nutrient solution temperature have something to do with the wilting? I have some eggplants in normal containers, which doesn't wilt like this. What exactly is the problem here? Is there a way to rectify it? The temperature of the nutrient solution does matter and steps should be taken to reduce the increase in temperature. A possible solution is to cover the nutrient tank with a reflective cover. Put a shade ner/cover over the plant to reduce the light incidence and in turn the temperature. higher the nutrient temperature, the dissolved oxygen gets depleted so quickly. Are you running an air pump? i count get a good look at your system. can you post a different pic of the system? I had a look at the picture and that kind of wilt is ok. but it is better to avoid. This is another snapshot of the system at 5pm. It consists of 20 liter container and about 6 holes for 55mm netpots. It pumps air via 2 small airpumps. I have pasted a blue paper on the tank to prevent algal formation. I maintain the ph between 5.5-7. Earlier I used grow solution with concentration of 8ml/liter(700ppm). Now, I use bloom solution with concentration of 6ml/liter(600ppm), because I thought that the wilting could be due to concentrated solution. What reflective cover shall I use? aluminium foil? Preferably aluminum foil. If not white paint would also suffice. Generally it is good to use white outside black inside material to avoid algae.